In our own way, everyone and every job position has its uniqueness. Have you ever thought about that woman sweeping the road? She is doing her job to make a living. What about that man packing refuse, the one with his clothe sown to his trouser? he wakes up early and go following a truck up and down packing refuse which you and I used. Have you ever think for a second to say thank you to him? What about that guy sweeping your house and taking care of your kids, have you ever for once looked at him and think down to yourself what is different in his job and what you are doing? In life, we all have different role and jobs to work on, and one important thing to notice here is – all jobs have their own unique point and they are different in their own way. The generator started running 0845hr just on this Friday morning. As I normally do, I started reading my email and replying those that needed replying. Few hours after smooth running of my PC, the generator went off. One important thing to note here on this very day, our office assistant was on a mission – meaning someone else have to take the responsibility he left behind. Then, I have to be responsible. 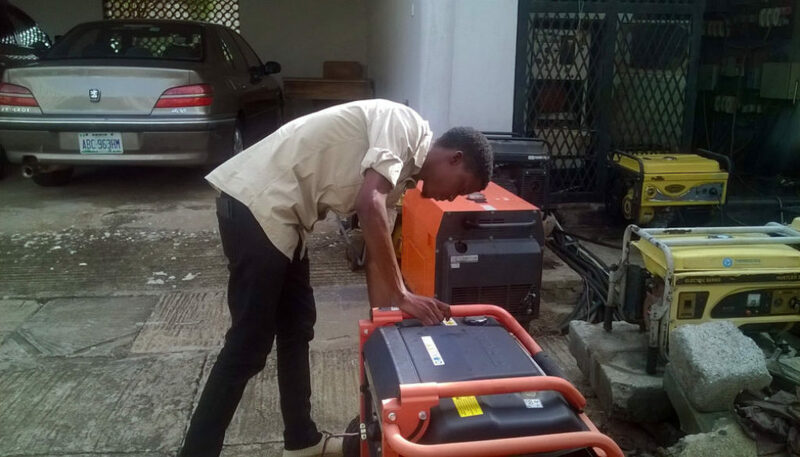 I had to go to the generator first, it was not like I don’t have experience using generator only that this generator is a different one. I struggled with the tank cover and I was eventually rescued by a colleague. I confirmed the fuel to be finished, so I had to go buy another fuel. My coming back from the gas station was another experience entirely. I was forced to ask the question; what would I use to pour the fuel from the jerry can into the tank. Another colleague helped out with an advice to use a hose. I wasn’t even thinking, am I? The lady colleague that brought me the hose said, are you going to use your mouth to draw the fuel out with the hose. So, I am this dumb not to have known that I have to use my mouth. Then, an idea came to me that I should look for a funnel and I was lucky to find one. After all the ups and downs, I was sweating like someone under pressure. I rushed to the toilet, washed my hands and got back to my workspace. Then I have to ask myself, what caused all these in the first instance. I would not be sweating nor leave my workspace in the first instance. But wait, why do I have to dragged up to this point to explain what I mean? Simple, we are all different and unique in one sense or the other. No one ever is to be looked down upon, everyone have their own quota to contribute to this world. It is not an abstract explanation that, someone have to do the dirty job and yes, they should be respected at what they are doing. Like I have experienced today, I may be an expert in some other things but not on someone else job. Not even Titus. We are all doing something and that is what really matter, staying idle is the job of a lazy man. So, any man doing something should be respected. You may be a boss of your own portfolio but not on someone else’s own. Tolerance, understanding and empathy is what makes the world an open place, do not forget to put them into use. Do unto others, what you will like to be done to you!